We live in an era where employees’ satisfaction comes to be a major matter of concern for employers, no difference when it is the case with the working environment they are longing to be at. BYOD (Bring Your Own Devices) is a growing trend in organizations where employees can bring their own devices to the workplace. 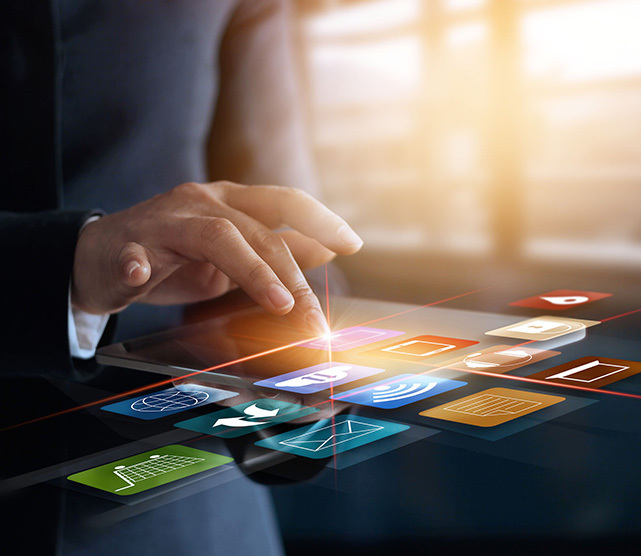 Embracing BYOD strategy can allow enterprises to create a more open, efficient and relaxed environment that benefits both the employee and the employer for sure. On the other hand, security risks caused by BYOD can be more or less overwhelming. Although Macs and Windows systems are living in the enterprise world with harmony, the concept of “Windows ruling the workplace” is still not outdated. So, it’s more likely that the employees choosing can be their personal laptop or tablet running Windows OS or a Windows phone. Handling these hundreds or thousands of gadgets could be tedious but before boarding up the windows against this “Bringing their own Windows devices” trend, just spend some time to think about ways to tie over the difficulties thereby caused. I say it’s better to adopt an MDM solution to manage these devices rather than putting barriers to your employees’ wish. Be a generous employer and make them feel free! Mobile Device Management is a necessity of the time which allows you to handle a bunch of devices under a single console. With MDM, you can monitor, manage and secure employees devices that are deployed across multiple OS platforms. In simple words, you can set up a relaxed atmosphere for your team without compromising your organization’s security. Hexnode MDM has a set of features that makes device management no more a herculean task. You can set up restrictions, ensure network security and data protection, deploy apps to your devices, remotely track the device location and so on – everything you need to build up a perfect workplace. All these features are exclusively made for your laptops, tablets and mobile devices running Windows 10 or Windows 8.1. The only thing you must do is to enroll these devices with MDM and you are free to cherish these extensive set of features. Active directory based or Self enrollment. First, let’s get to the self-enrollment process for Windows 10 laptops. Go to Settings > Accounts > Access work or school > Enroll only in device management. Enter your work email and Hexnode MDM portal URL > Click Next. Enter the domain and username in the format: domain\username. Enter the Active Directory password > Click Next. Your laptop is successfully enrolled. Now let’s look into each feature in more detail. Take precautions to protect your network from unauthorized access, misuse or improper disclosure. You can ensure paramount security for your network by configuring the Email, active sync, and Wi-Fi policies. Email policy allows you to set up email configurations from MDM console and push these configurations to your Windows devices. You can configure Exchange ActiveSync and let your users access email, calendar, contacts, and tasks from their local devices. Wi-Fi policy is yet another security feature which allows you to remotely configure Wi-Fi on the devices without user interventions. You may have a set of apps which are inevitable for your employees to carry out their work smoothly. Looking for some ways to deploy them to your devices in an efficient manner? Mobile Application Management has its relevance in such a situation. Mobile Application Management refers to the provisioning and controlling of apps by organizations in a granular way. Here you can enable and enforce corporate policies to manage and deliver apps to your devices. MDM has its app installation feature to push apps from the Windows Store to the target devices. You can either add apps to your app inventory to deliver it later at a large scale or install them directly from the app store. There is another Mandatory app policy to mandate the installation of certain apps otherwise marking the device as non-compliant. This ensures that all the required apps get installed on the user devices. Your corporate data falling into wrong hands can have devasting consequences. Mobile Security Management enables you to protect the data on your devices and ensure secure access to corporate data. There are different methods by which you can shield your most valuable data from breaches or theft. Set up password rules to protect the device with a strong password – not easily guessed. This can secure the device from unauthorized access to a certain extent. You can restrict users from accessing some features and apps which are not needed in a working environment. There is device functionality based and app-based restrictions. You can also restrict them from network, security and privacy settings. Remote lock and remote wipe features have a great role in preventing data loss or theft. You can lock the device instantly blocking unauthorized access to the device and perform a complete wipe on your stolen devices using the wipe device action. Encryption is an important part of data security. Even if data does end up getting stolen, it will be unreadable and nearly useless if it’s encrypted. Hexnode MDM has the BitLocker policy which allows you to configure encryption settings for the operating system, fixed data drives and removable data drives on Windows 10 PC (Enterprise, Business, and Education editions). BitLocker is Microsoft’s built-in full volume encryption tool for data protection. BitLocker helps prevent unauthorized access to data on lost or stolen devices by encrypting the entire Windows operating system volume on the hard disk and verifying the boot process integrity. Now, how to know your device’s current status. Pretty simple! Hexnode MDM has the location tracking feature to remotely monitor your device location. Use the Scan device location action to know the current location of your devices. You can also obtain customized reports from high-level device reports to granular reports regarding a specific action. Furthermore, you can choose to export these reports to target devices as CSV files or in pdf format. These reports include device reports, user reports, compliance reports, location reports, application reports and so on. You can even schedule to receive periodic reports on device events at specific intervals. The story is not ending here. We have much more to talk about managing your Windows-centric crew. Some more exciting features are yet to come – the most important among which is the Windows kiosk. 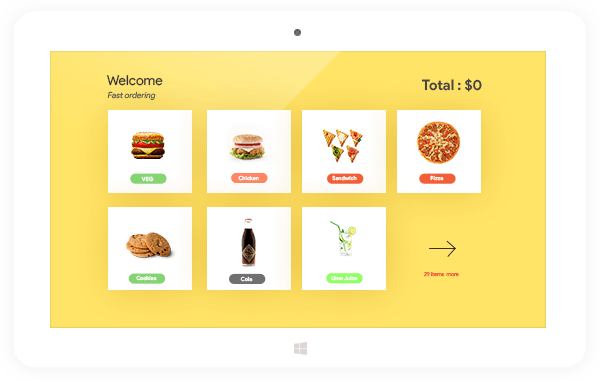 We already have kiosk management for Android and iOS and now it’s for the Windows side too. Windows app management is enhancing with app blacklisting feature and much more are on our road map. Now, what are you waiting for? Join us and manage your Windows devices more efficiently. We are always here for you.